Milwaukee and the surrounding areas experience the full effects of all four seasons, and those seasons all leave us with plenty of precipitation. While that means green, beautiful summers and fun, activity-filled winters, it also means keeping all that water away from our homes. Luckily, R&R Enterprises is your expert for drainage solutions in the Milwaukee area. There are few things as detrimental to your home’s health as water infiltration. Once water begins to work its way into your foundation, it has started a long process that can end in catastrophe. R&R offers drain tile services to ensure that the water that naturally pools against your house’s foundation has a quick exit path. We can also diagnose and repair problems with the grading of the soil near your house to ensure that water on the ground, as well as water that your home sheds via its gutter and downspout system, continues on a path away from your home. What causes water to pool near my foundation? There are several common causes of water pooling near a home’s foundation walls, usually related to the slope of the ground near the exterior of the house. If that slope is not angled away from the home you can expect water to stay near the home longer than it should, even if the ground appears to be nearly level. Other causes may be related to the positioning of the downspouts or a leaky or broken gutter. In most scenarios, a decent grade near the house will keep your basement dry and your foundation walls intact. While this all sounds very simple, drainage issues can be more difficult to diagnose than you may expect. Water always travels to the lowest point it can find, and doesn’t seem to always follow a logical path. If you see water in one corner of the basement, it may not necessarily mean that the water infiltrated from a source directly outside that wall. For these reasons, it’s important to contact an expert on drainage solutions to help you diagnose your issue and to recommend the best solution. Once you’ve noticed there is a drainage problem, acting quickly and solving the problem without delay will minimize damage. 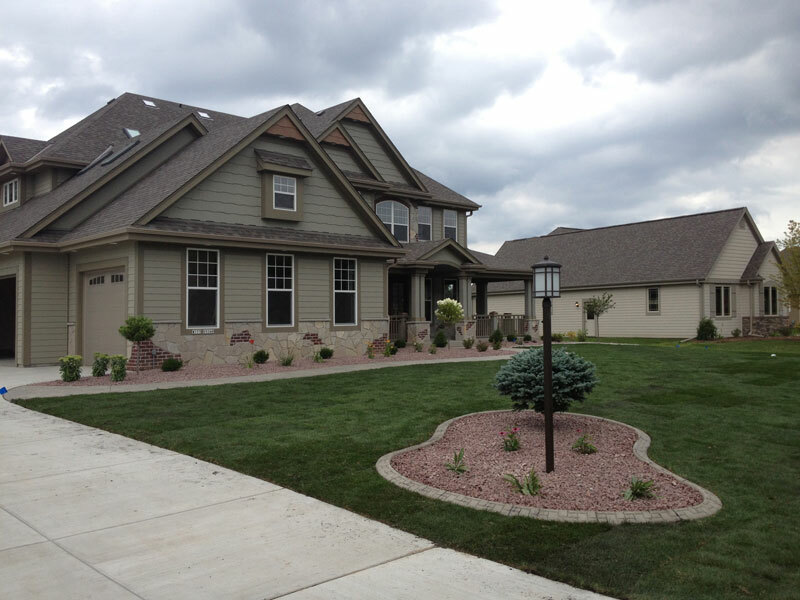 The Milwaukee landscape team at R&R Enterprises is always available to help you fix your drainage issues. We’ll give you a visit and recommend a course of action that works within your budget and lifestyle.